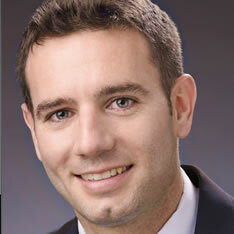 Rising Stars Attorney Daniel Murphy & Christina Walsh JD., Publish Trucking Accident Article In The Lawyers LogBOOK. An article co-written by Attorney Daniel A. Murphy Esq., and Christina Walsh JD, has been published in the 2017-2018 edition of The Lawyer’s LogBOOK. 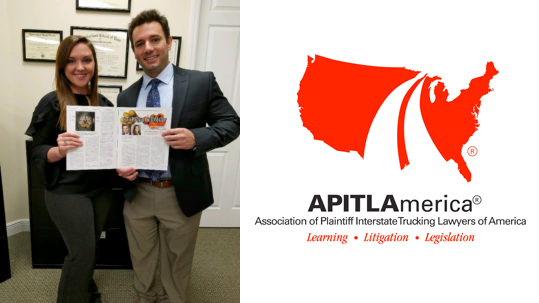 Endorsed by the Association of Plaintiff Interstate Trucking Lawyers of America or APITLA, The Lawyer’s LogBOOK is an annual magazine featuring articles by the nation’s best trucking accident attorneys and foremost industry experts on commercial trucking accident litigation. Entitled, ‘Is it a Potato or Tomato? How to know when you are Dealing with Interstate or Intrastate Rules on Commercial Vehicle?,’ the article brings attention to the increasing amount of serious and fatal accidents arising from Commercial Motor Vehicles from both interstate long-range trucking and intrastate, medium to short-range trucking. The study found that there were over 415,000 Commercial Motor Vehicles traffic crashes last year, resulting in 3,598 deaths and 83,000 seriously injured individuals. Also highlighted by the article were the many factors involved in these accidents such as negligence, aggressive driving, fatigue, texting while driving, pressure to make deadlines, drug or alcohol abuse, and speeding, to name a few. Additionally the mechanical conditions of the trucks themselves can be an important factor, especially for trucks that drive thousands of miles per week and hundreds of hours of operation.